Portugal football star Cristiano Ronaldo who recently pen down a deal with Seria A giants Juventus was spotted shopping with his girlfriend Georgina Rodriguez in Italy. Georgina made sure she distracted some of the Ronaldo fans with her super short hot pants with an exposed silver zipper. Ronaldo looked classy enough in a simple white shirt and sneakers combined with ripped blue denim jeans. Georgina and Ronaldo started dating in later part of 2016. It all started when Georgina caught the eye of Portuguese star in VIP section of a Dolce & Gabbana party in Madrid. Georgina gave birth to a baby girl last year, her first with Ronaldo and the former Real Madrid’s star fourth child. 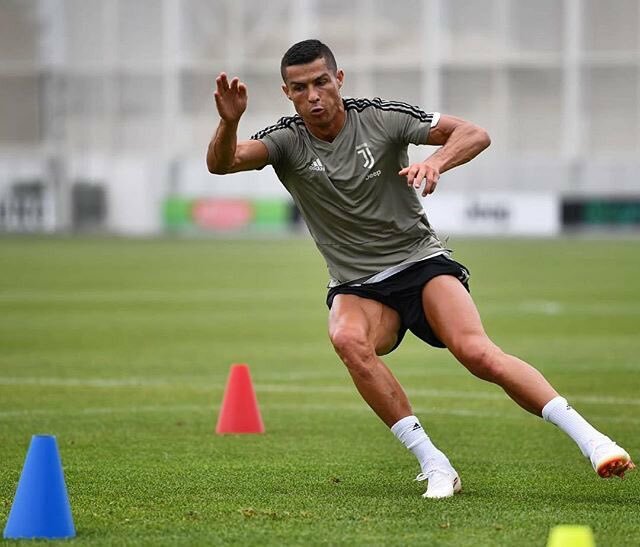 Ronaldo is currently training with Juventus for Serie A opener against Chievo on August 18.